1. 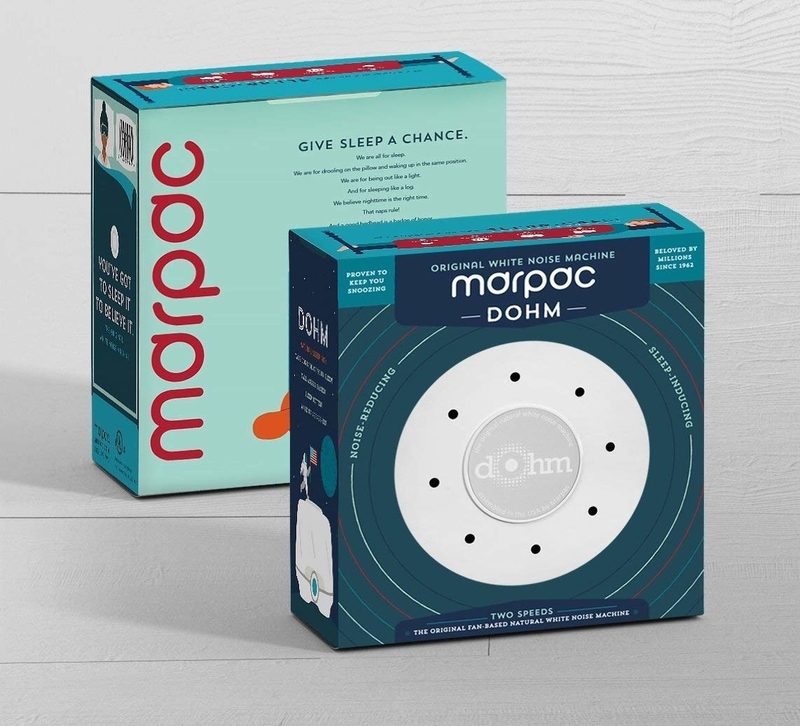 A pack of sound-dampening door bumpers so you'll no longer be jolted awake by the sounds of your night-owl roommate or partner opening cabinets or doors. Get a pack of 100 from Amazon for $4.30. 2. 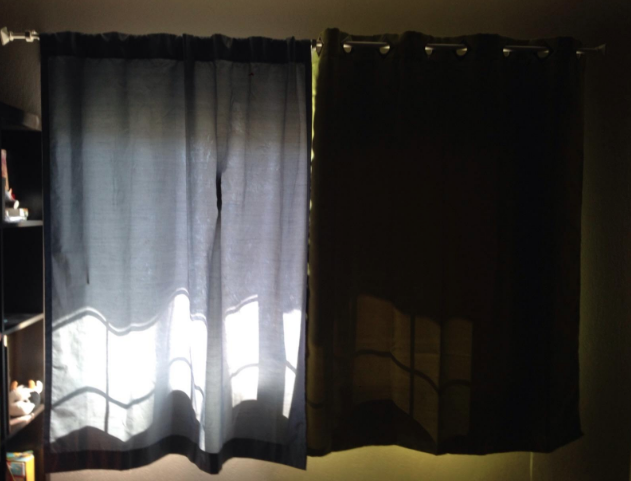 Blackout curtains available in a variety of colors that'll basically tell every sunny day, "Come at me, bro." When I moved into a light-drenched apartment (yay! ), I realized that meant I'd also have a light-drenched bedroom at hours when I'd rather be fast asleep (boo!). 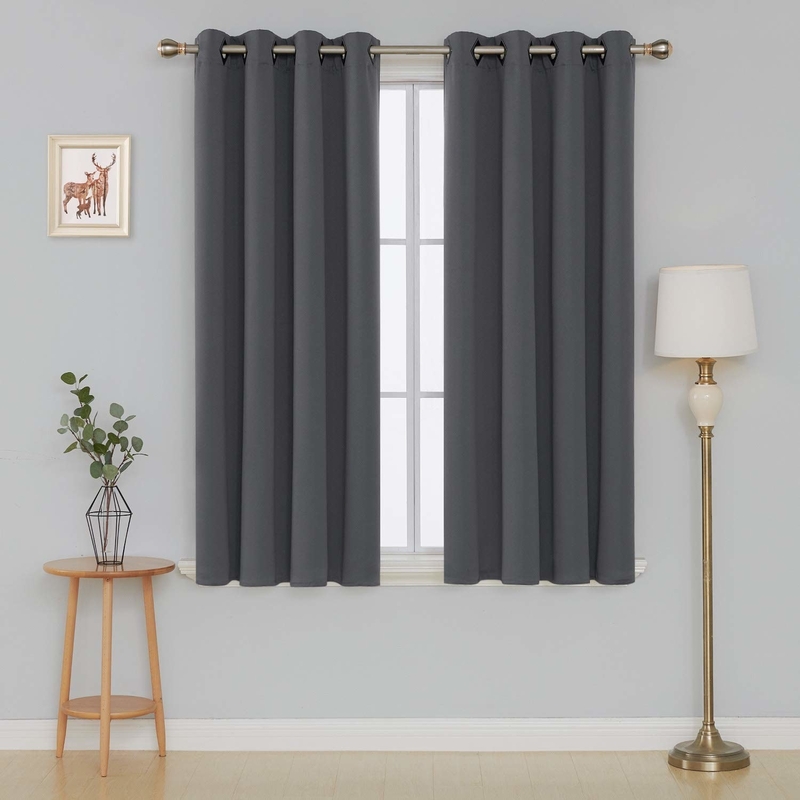 So I bought these these Deconovo curtains, swayed by an inviting price tag and more than 1,500 glowing reviews. When they arrived, I was pleasantly surprised by their high-quality, heavy, soft fabric — they looked more expensive than their price suggests — as well as immediately impressed by their ability to deliver. I'm consistently able to sleep soundly well until my wake-up time, no matter how sunny it is outside. Get a set of two panels for $21.99+ (available in three sizes and 27 colors). 3. An alarm clock designed to stop your kids from waking you up at the crack of dawn so you can get in just a liiittle more shut-eye before it's time to tackle the day. It lets them know when it's "ok to wake" you. Read a full review of this clock here. 1. Call it a present for her and unbox it with her. 2. Explain that it's a special light to help her understand when it's time to wake up so that she doesn't feel sad if she wakes up and mama says to go back to bed. 3. Remind her every night at bedtime that we won't come in her room in the morning until it's green and talk about what she should do if she wakes up before it's green. 4. Seriously, don't come in until it's green, no matter how much she whines the first morning. 5. Praise her profusely for waiting for the green light. 4. 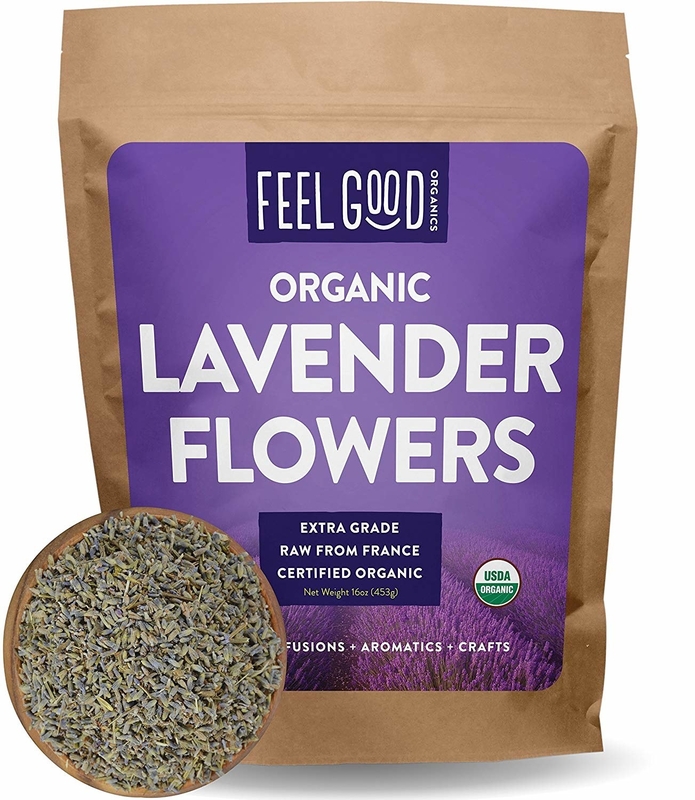 A hypoallergenic silk eye mask filled with comforting lavender and flaxseed that'll have you feeling blissed out in no time and make it easier to get some shut-eye. Plus it comes with a free eye-gel mask! 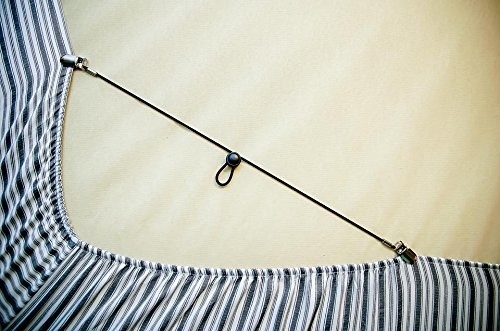 Get it from Amazon for $16.95 (available in burgundy, silver, black, and purple). 5. 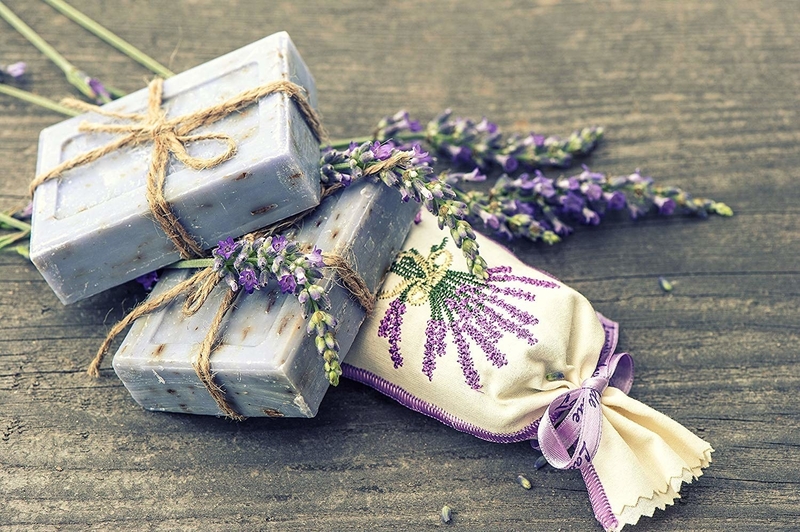 While we're on the subject of lavender: a bag full of it, so you can place some on your nightstand in a sachet or make a cup of floral tea. Your old teabags could never. Get a 4 oz bag from Amazon for $10.49 or a 16 oz bag for $19.99. 6. 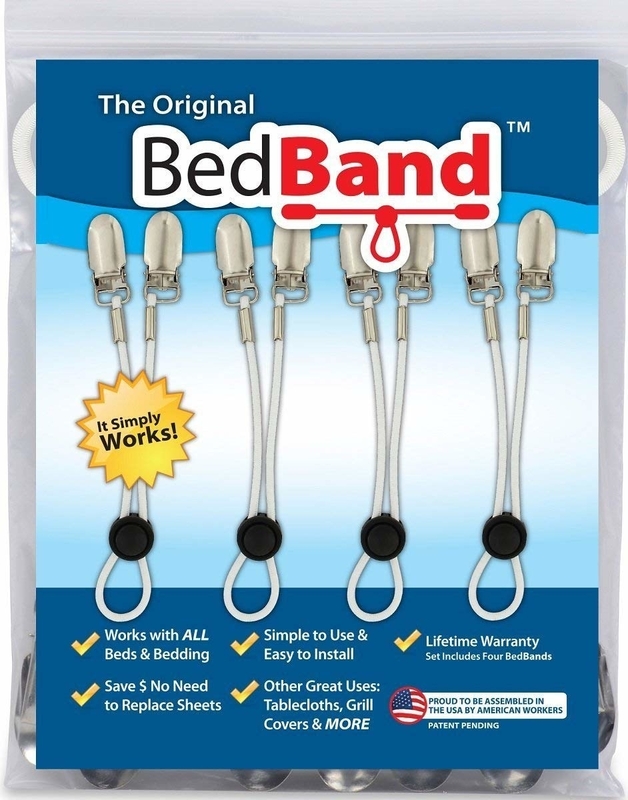 Bed bands that have over 4,600 five-star reviews — because is there anything more stress-inducing than sheets that are constantly falling off of your mattress while you're just trying to get some damn sleep?? 7. A contour memory-foam pillow for neck support that'll help you nod off in supreme comfort and have you breaking up with all your other pillows (it's not you, it's them). It's recommended for back and side sleepers and comes with a five-year warranty. Get it from Amazon for $23.35. 8. 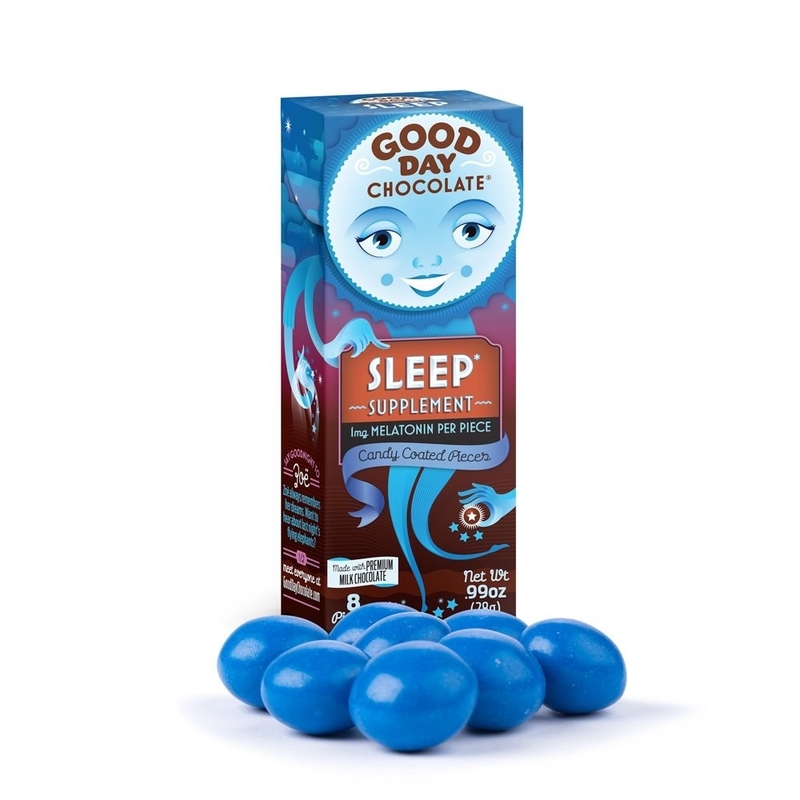 Good Day chocolate melatonin supplements, a natural — and delicious — way to get your body ready for slumber. Get a six-pack (with eight chocolate in each box) from Amazon for $17.99. 9. 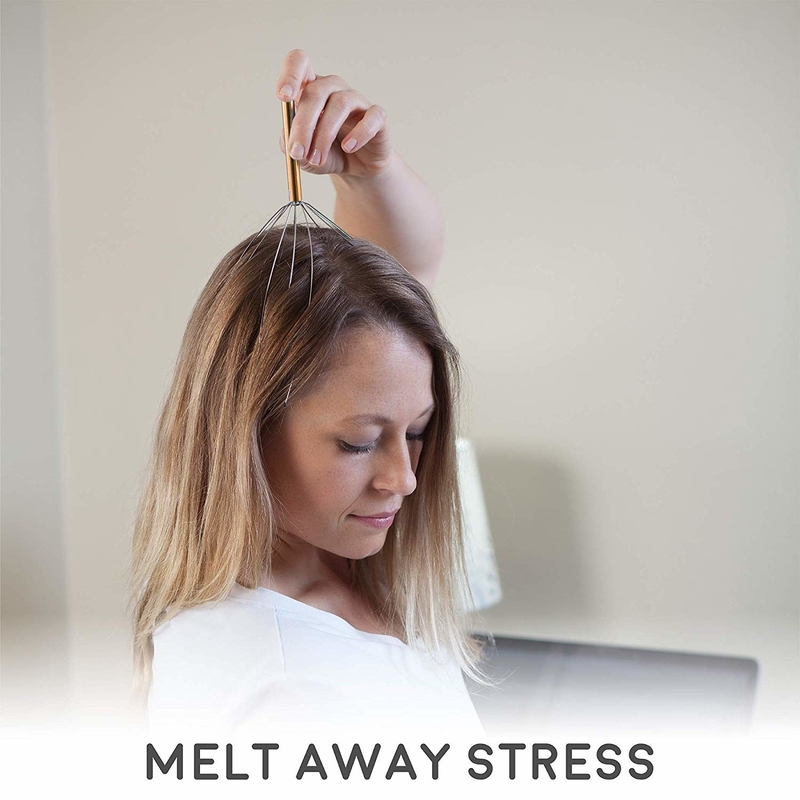 A truly heavenly simple scalp massager that'll make you feel all sorts of warm and tingly feelings and get you right in the mood to head to snoozetown. 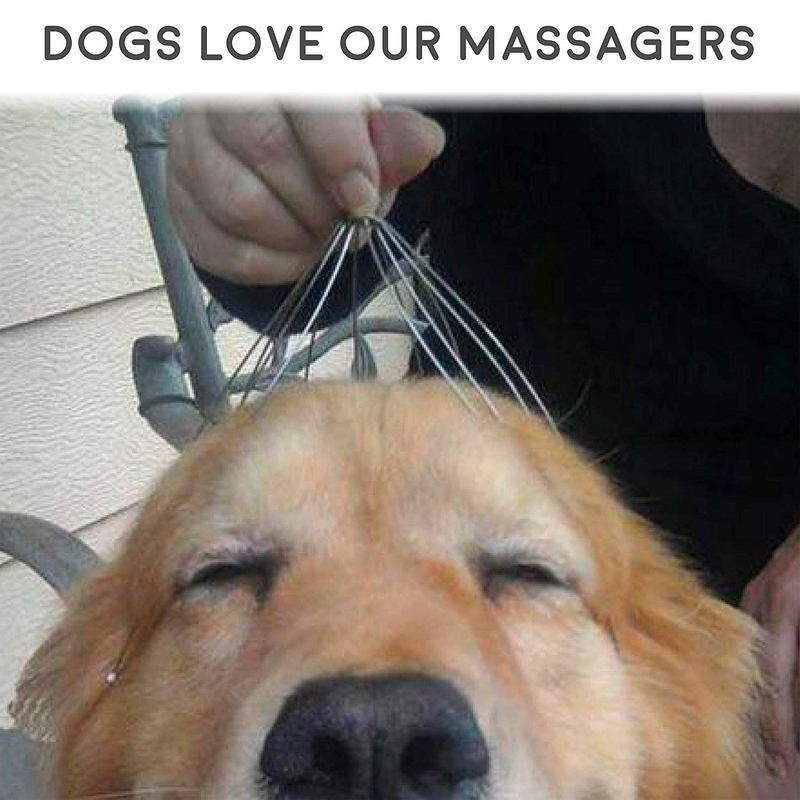 Just thinking about one of these things gently caressing my scalp is making me feel sleepy. Get it from Amazon for $8.45 or a two-pack for $11.44. 10. 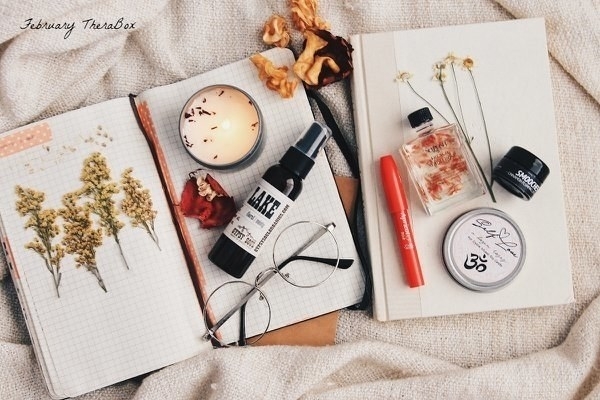 Therabox, a self-care subscription box designed to promote a sense of calm and joy — and hopefully help you wind down after a long day and prepare to hit the hay. 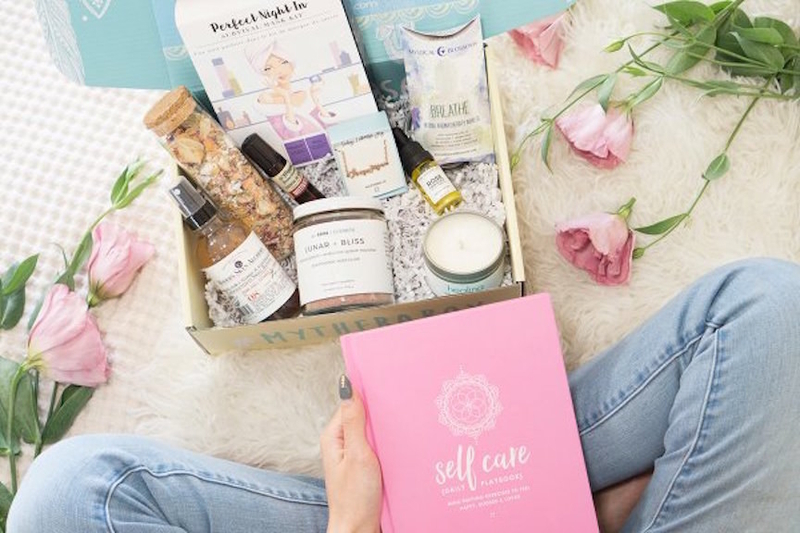 Each box includes a "happiness activity" plus five to seven wellness products (e.g., aromatherapy, natural/organic bath, body and skin care products, and more) curated by therapists and designed to boost joy and relaxation. 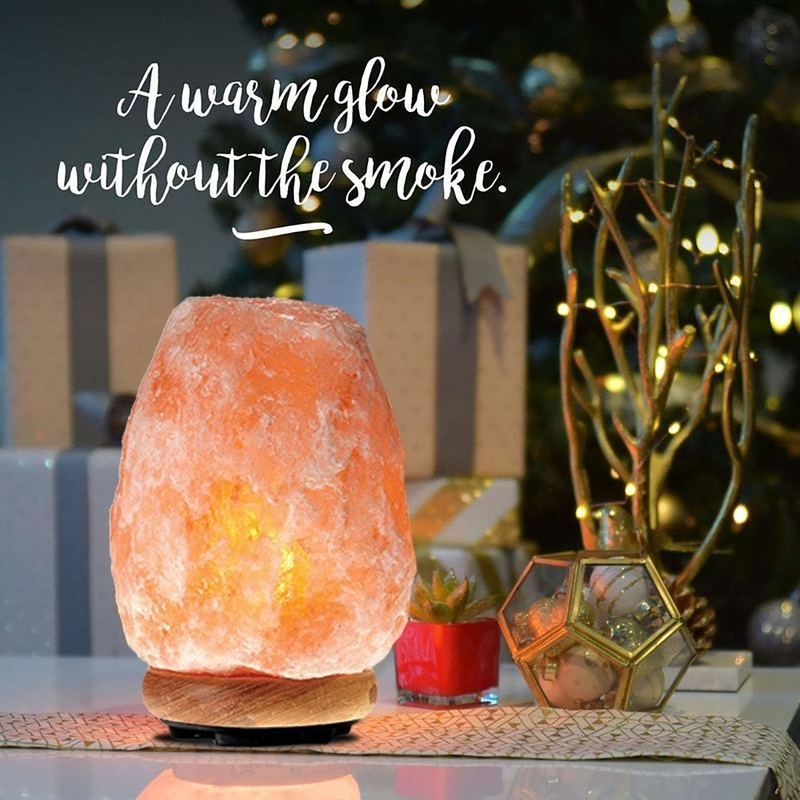 Get it from Cratejoy for $30.99+/month (use code CJFIRST10 at checkout for a special discount). 11. 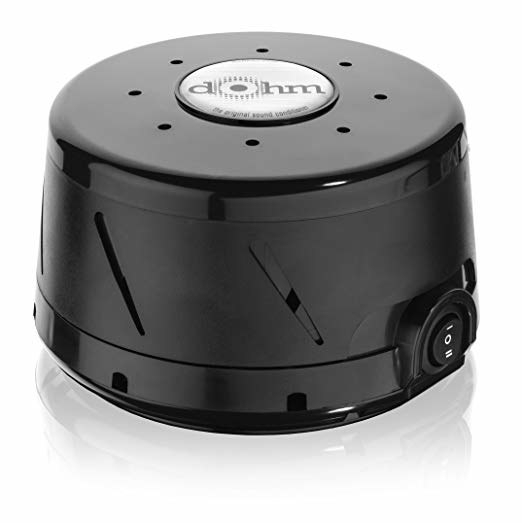 A Dohm sound machine, a best-selling "white noise" machine that mimics the soothing sound of rushing air, with two speeds and a customizable volume, to block out any noise that might be keeping you up at night — or annoying you during the day. Believe the hype: White-noise machines are wonderful for drowning out distracting noise and improving the quality of your sleep. 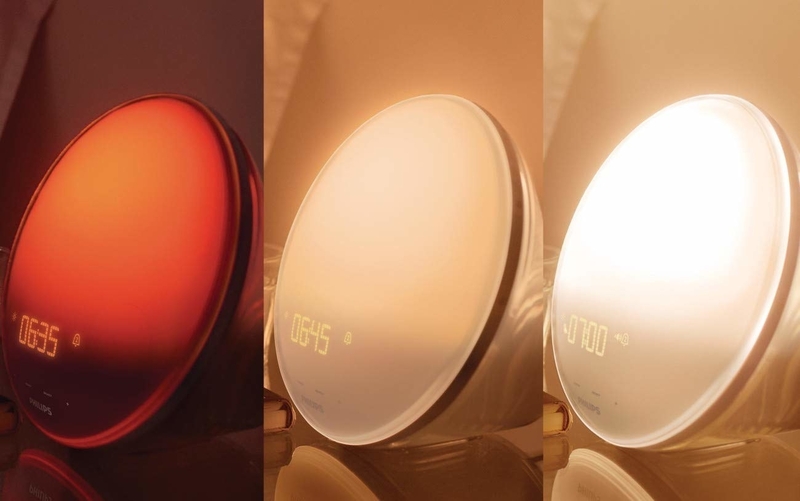 I have two of these babies in my home and I can no longer go to sleep without turning one on! Get it from Amazon for $39.95+ (available in four colors). 12. Some comfy ear plugs so you can basically hit mute on any irritating noises or distractions that are crushin' your vibe. Read one BuzzFeed writer's full review of them here. Get them from Amazon for $2.98+ (available as a 10-pair or 50-pair pack). 13. 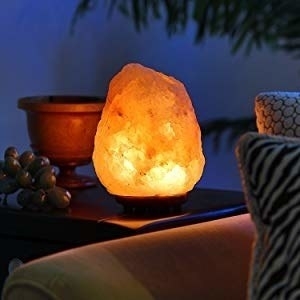 A Himalayan salt lamp, to provide your room with a soft, amber glow, for an ambience conducive to catching some z's. 14. A silk pillowcase that'll feel luxe AF (and help prevent messy hair to boot), so you'll have yet another excuse to crawl into bed an hour early. Get it from Amazon for $22.90+ (available in standard, queen, and king sizes and in 29 colors/designs). 15. 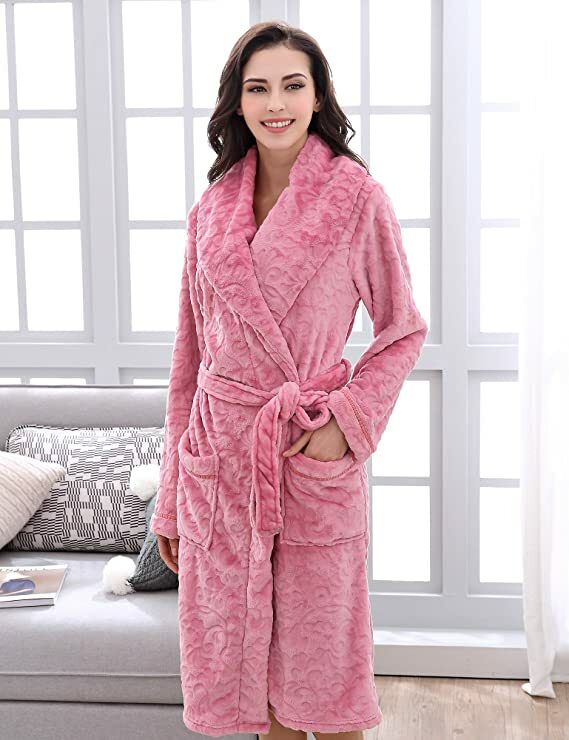 A super-plush robe so comfy you'll probably want to snuggle up under the covers as soon as you throw it on. Get it from Amazon for $23.99 (available in sizes S-XL and in 29 colors/styles). 16. 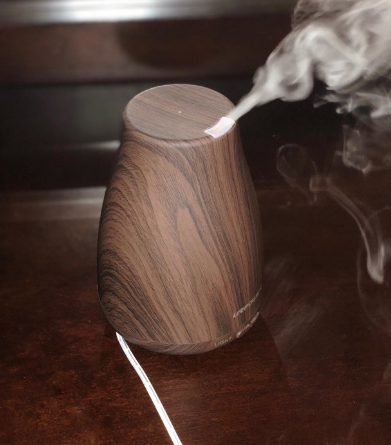 A diffuser with lavender essential oil that'll bring all the chill vibes, making your home feel like a spa and prepping your mind and body for a trip to Sleepytown, USA. 17. 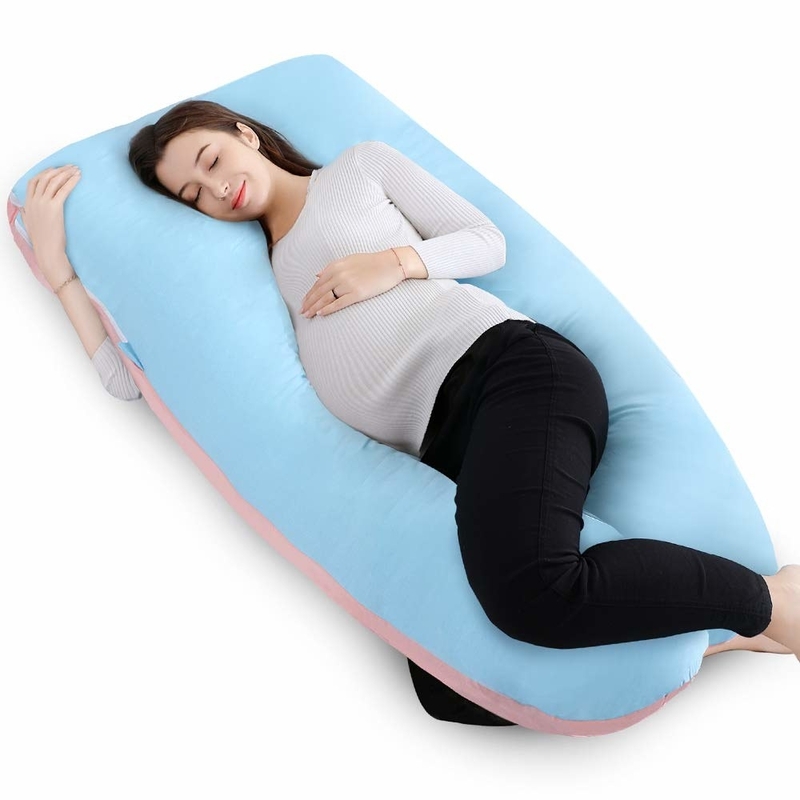 A pregnancy pillow, because you don't need to be pregnant to enjoy the comfort of full-body support as you drift into dreamland. Get it from Amazon for $48.59+ (available in 55-inch and 60-inch and in five colors). 18. A down-alternative comforter that — just warning you now! — might have you running late for work more often than not because you'll want to spend all day enveloped this luxurious cloud. My coworker Kayla wrote about how great it was, so I took the plunge — because I trust her and because I was in the market for a white comforter — and I could not be happier. It's got just the right amount of fluff and is machine-washable, cruelty-free, great on its own or under a duvet cover, has corner tabs to anchor a duvet cover, and costs a very reasonable $46 for a king size (which I wrote about here). Hooray! Get it from Amazon for $40.01+ (available in twin, queen, and king). 19. 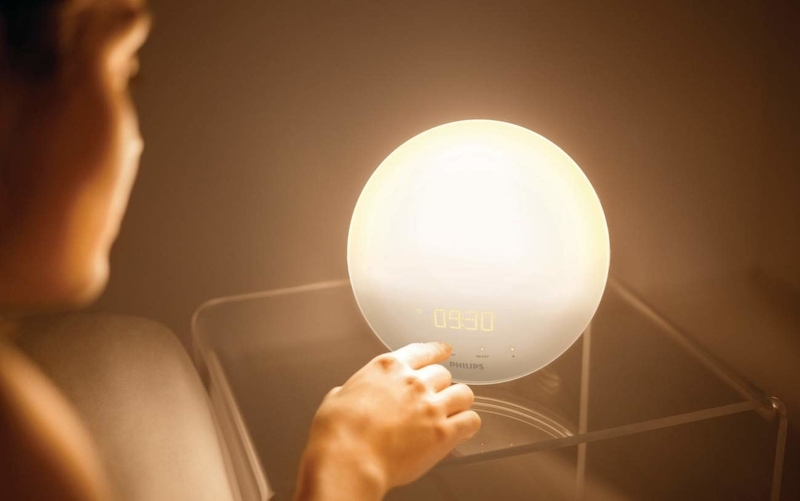 An investment-worthy Philips wake-up light, which simulates the sunrise — so you can wake up more naturally, without being jolted awake by your blaring alarm clock — as well as the sunset, with dimming lights and sound features, so you can drift to sleep more easily. And if you purchase before 12/31/18, you'll also get a free three-month subscription to Headspace! 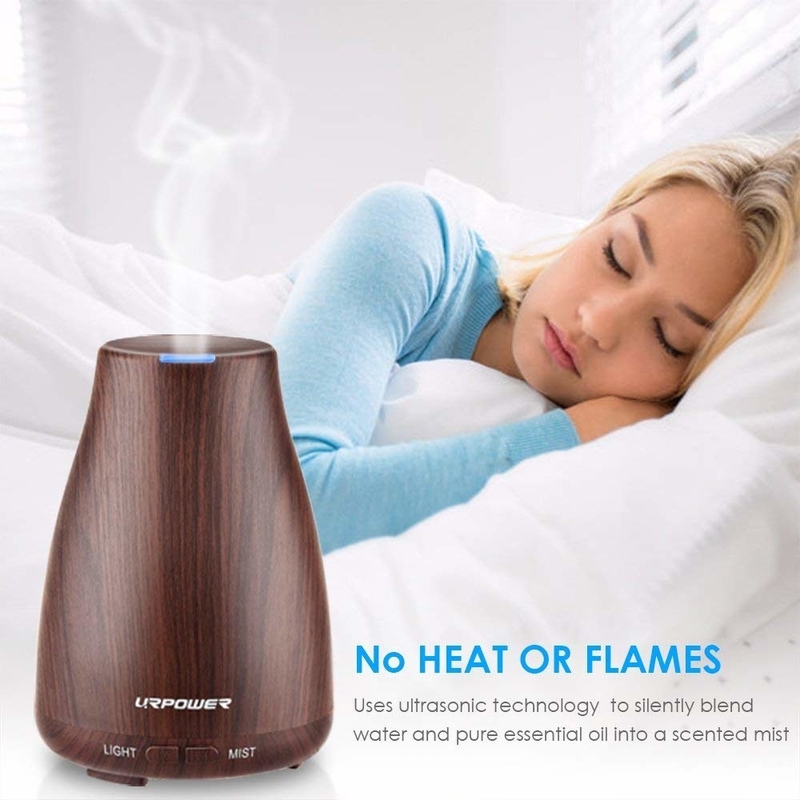 Get it from Amazon for $138.99. 20. 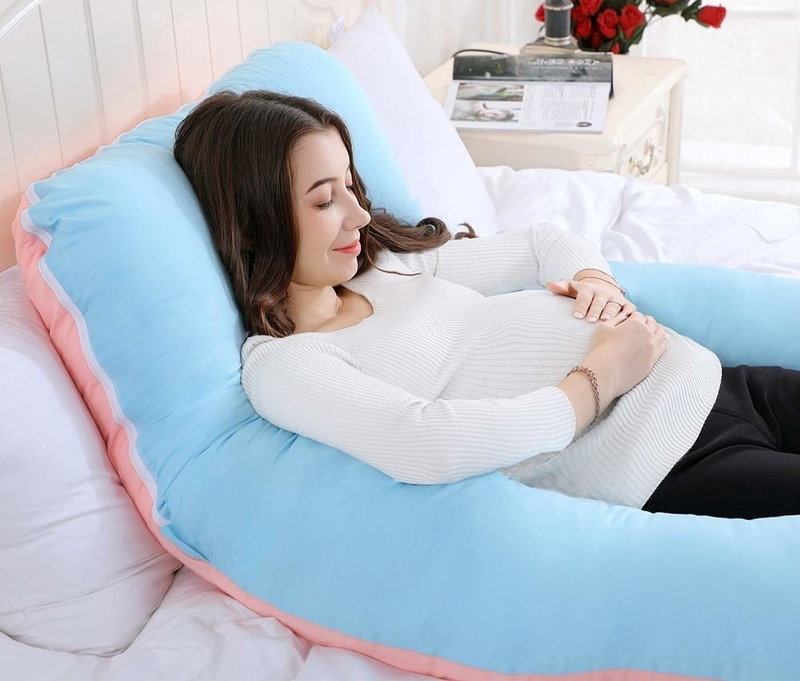 A neckroll pillow that might offer you the chin support you need to fall asleep more comfortably and easily. Get a pair of pillows from Amazon for $18.97. 21. A memory-foam mattress topper, a cheaper alternative to buying a new mattress altogether that'll save you from uncomfortable sleepless nights from here on out. Get it from Amazon for $42.49–$101.99 (available in twin–California king and in 2-inch and 3-inch versions). 22. Wool socks to keep your toes perfectly toasty during chilly (or air-conditioned) eves — because going to sleep with cold feet is never fun. Get a pair of five for $10.99+ (available in eight color combos). 23. And set of fleece-lined leggings that'll help you stay extra-cozy during the colder months — is there any better sartorial combination than leggings and fleece?! Get a six-pack from Amazon for $29.95+ (available in sizes S-4XL and in five different color combinations). 24. 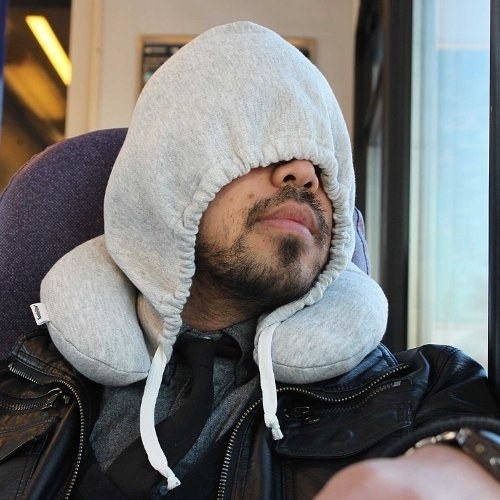 A drawstring hoodie pillow so you can nap anywhere in (discreet) comfort. 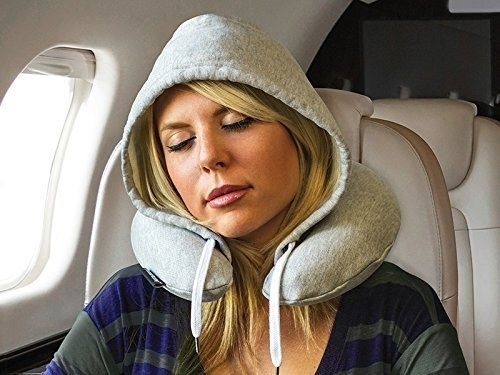 And check out our picks for the best travel pillow on BuzzFeed Reviews! 25. 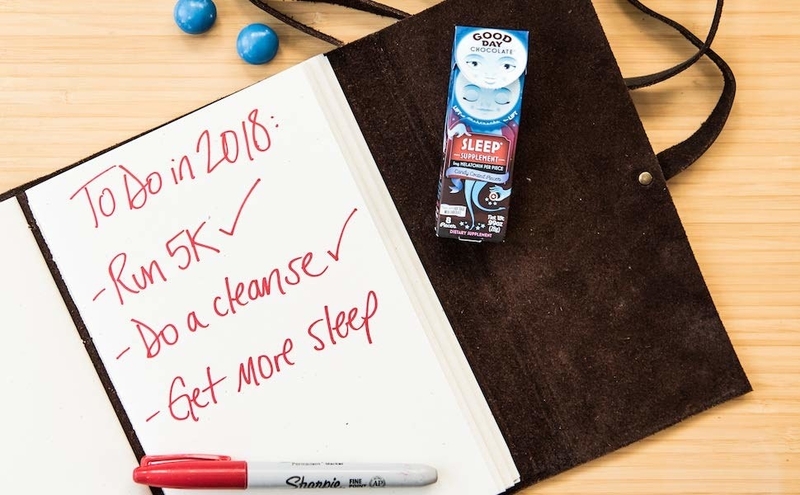 Neuro Sleep Drink, made with melatonin, magnesium, and L-theanine that may help you get to bed faster and sleep better through the night. Get a 12-pack from Amazon for $23.8+ (available in tangerine and mango flavors). 26. A 100% cotton weighted blanket designed to increase relaxation and reduce stress. Get it from Amazon for $66.50+ (available in six sizes and six colors/patterns). 27. A set of sheets with nearly 35,000(!!) five-star reviews that feel way more expensive than they really are. I myself own this set in two different colors — solid gray and solid light blue — and it's no surprise why tens of thousands of reviewers are raving about it. The sheets are soft, cool in the summer and warm in the winter, come with a deep-pocketed fitted sheet, and wash beautifully, even after two years of use. For this price, truly, you'd be hard-pressed to find a better set! Promising review: "These sheets are one heck of a bargain! I'm not going to lie — I was skeptical when I saw the price when I ordered them, but my Great Dane managed to tear one of my other sets, and well, desperate times call for desperate measures. I found myself on Amazon — just like you are now, reading reviews, trying to save a few bucks, but not ending up with the crappiest sheets ever made. The internet can be terrifying like that (I've been scorned, can you tell?). Then I stumbled across these...and I was SURE I had read the price wrong or that there was some 'catch'. Checked out, paid for, now we wait...two days later my precious cargo arrived. After I ripped that package open like a kid on Christmas, I looked and inspected my new sheets for something, ANYTHING, to be wrong with them. I got nothing! Now, you should know, these ARE a thin sheets — you can practically see through them if you hold them up to the light- but don't let that discourage you. Get them from Amazon for $27.70+ (available in twin, twin XL, full, queen, king, California king, and split king, and in 39 colors/patterns). 28. And, of course, a comfy-as-hell mattress to ensure your sleep is as restful as possible on a regular basis — like this cool-sleeping Tuft & Needle mattress with adaptive foam so you'll have a comfortable sleep, but without totally sinking into your bed. Get it from Amazon for $350–$750 (available in twin, twin XL, full, queen, king, and California king). Find more great mattresses you can buy on Amazon here.